Fatyul’s operation expanded exponentially from that point. Proceeds from the sale of Nutcrackers paid for the deposit on a new apartment as well as the deposit on a basement apartment she used for the sole purpose of selling the mixed drinks. Not to mention providing the seed money to open up her very own barbershop. At its height, the enterprise employed a total of 6 people. Not only was she selling Nutcrackers retail to folks in the street who sometimes purchased 15 of them at a pop but she was also selling Nutcrackers wholesale, charging $400 dollars for a 5 gallon bucket. She opened up another Nutcracker spot in the 170’s and was moving five 5 gallon buckets a day – nearly 10 buckets on Saturdays and Sundays. People came from as far as Providence, Rhode Island to purchase her Nutcrackers. And then everything started to unravel; others folks started to sell their own version of the drink and some of her workers started scheming and pocketing some of the proceeds. The coup de grace came when the cops raided the basement apartment. Luckily, she did not have her name on the lease and the cops didn’t really pursue the case as it was not hard drugs. Not wanting to jeopardize her immigration status, Fatyul walked away from the industry that she created. She didn’t leave empty handed though, she walked away with a cool 35 grand. Nowadays, if you know where to look you can still purchase a Nutcracker for 10 bucks almost anywhere in Washington Heights. 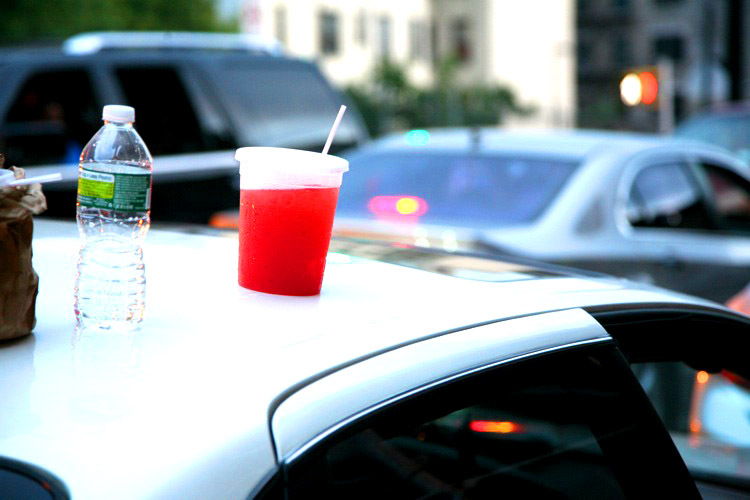 One dude in the Dyckman area even had them bottled up with a label and sold them out of the back of a van. Another cat I know actually has a store that sells a frozen derivative of the Nutcracker comically named the Nemo. The story of the Nutcracker embodies the never surrender spirit which is an integral part of the character of Dominicans in particular and immigrants in general. So the next time you have a Nutcracker make sure you say a toast to Fatyul and the legacy she left behind. Salud!!! The recipe below is provided by the master herself but without the actual measurements because that would be divulging too much info. This entry was posted in #WHIN, Writings and tagged Drinks, Inwood, Nutcracker, Street Culture, uptown, washington heights by Led Black. Bookmark the permalink.